Pseudonym Password Remember me Lost password? How many more ps2 games? Thread: How many more ps2 games? So, How many Ps2 games do you think are still going to come out? I looked on gamespy but many games werent coming out for the ps2 for sure. So take a guess 10? 20? more? Thanks a lot for replying. After Sony stopped the PS2 production and the last PS2 servers shut down, I doubt there would be any more. It's not worth it anymore, unless aimed at countries where most of the gamers still use PS2. When aren't they heavily armed? This thread shouldn't have been replied to, since it turns out to be a copy/paste from another forum on another site, and the thread there is over seven years old. Had I looked at the "references" link earlier, I would have locked it right then and there. Also, thanks for bringing these threads to my attention, andkadewo. © Ratchet Galaxy 2018 - All rights reserved. 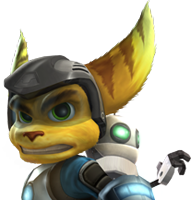 Ratchet & Clank is a trademark of SCEA Inc. and developped by Insomniac Games.